If it’s Dutch treats you crave, this store has them. Made in Holland is a popular shop for their unique foods, sweet treats and personal items imported directly from Holland. 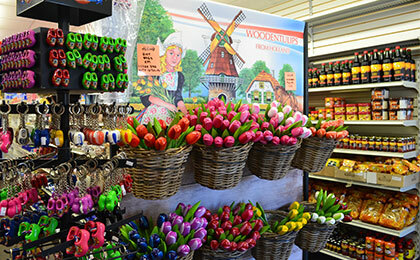 The store also features European-style deli meats, Dutch cheese, soups, baking and gift baskets. A special section includes Christian books, cards, videos and more. Get a taste of Holland in downtown Fergus.